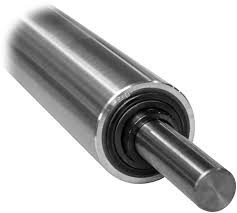 Owing to our in-depth industry experience and precise knowledge of this domain, we are offering an outstanding assortment of Idler Shaft. We are manufacturing Shafts used for Agro & Textile. With our expertise in this domain, we are able to manufacture a wide range of roller journal & shaft lock nuts. Designed in compliance with the latest technology, these nuts are ideal for mending or renovating roller shafts. These nuts have standardized dimensions that suit the diverse requirements of various industries. We offer with different hardness and properties for customised applications. Machines for special profile like tapers, crown, grooving zig-zag type etc. as per customers specifications for any typical applications.